Location, lifestyle and a whole lot of luxury—Hotel Indigo Bali Seminyak Beach is the newest upmarket resort to grace the colourful Seminyak district and is a place where all desire to be seen! Blow your expectations out of the water and check-in where sophistication meets the sea. Soak up the energy, laze in the sun and pay homage to the beauty of Balinese culture. Life is so good at Hotel Indigo Bali Semiyak Beach, we guarantee you’ll be back time and time again. Don’t believe us? Read on to find out more! Hotel Indigo Bali Seminyak Beach is the best place to experience laid-back beach life with a chic, contemporary twist. Set just steps back from the shoreline in central Seminyak, this resort exudes activity and energy and there’s creativity all around! From artfully designed interiors, to the works of local artists spread throughout the grounds, there’s always an element of Balinese tradition and creative interpretation to observe and admire. All kinds of travellers are catered for too. This vibrant, contemporary resort offers direct beach access through the exclusive SugarSand Beach Club and the calming oasis that is the tranquil Sava Spa. Plus, guests can easily get out and explore the wider Seminyak area. Ride waves, embrace the nightlife, visit temples, cultural sites and vibrant retail hubs, like Seminyak Square and Carrefour Plaza Kuta—the choice is yours at Hotel Indigo Bali Seminyak Beach! Why go to Hotel Indigo Bali Seminyak Beach? Treat yourself to award-winning excellence at this impressive resort. Voted amongst Asia’s Best 10 New Hotels by The Australian, The Most Luxurious Resort in Seminyak by The Bali Bible and Indonesia’s Most Colourful New Hotel by Vogue Australia (to name just a few) in 2017, the dazzling Hotel Indigo Seminyak Beach is bound to thrill and delight! Boutique service and charm is at the forefront of the resort’s offering. No matter who you are or what brings you to Bali, you’ll always be made to feel welcome here! 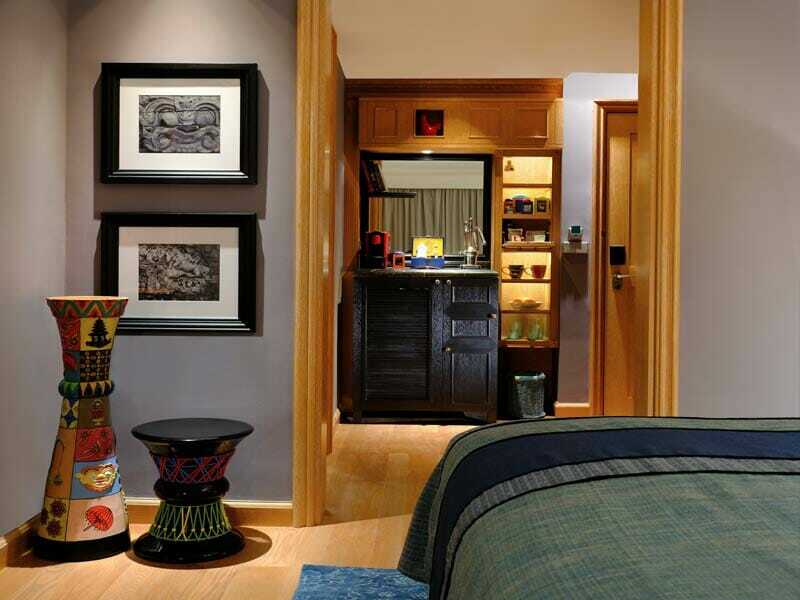 All guestrooms are beautifully crafted. Ultra-modern style, spa-inspired bathrooms and plush contemporary furnishings blend tastefully with unique cultural elements. These include oversized Balinese-style murals on the walls and carved wooden embellishments throughout. Comfort is emphasised, as is the abundance of natural light with floor-to-ceiling windows which also encourage guests out of their private retreats to enjoy the rest of the facilities around the resort. 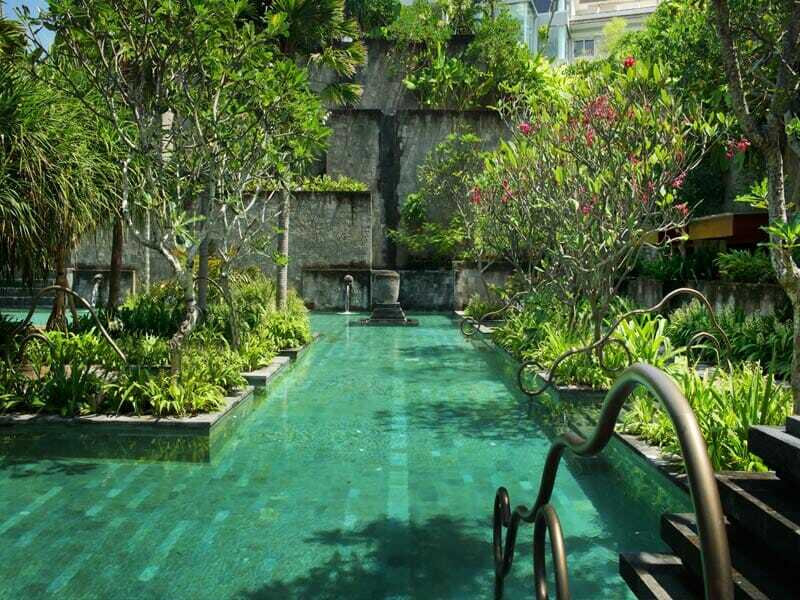 Start your days at Hotel Indigo Bali Seminyak Beach with a splash in one of the 4 pools or kid’s pool. Enjoy an all-you-can-eat breakfast poolside, courtesy of Makase Casual Dining, then head to the day spa to unwind and indulge. There are 7 distinct dining experiences at the resort, including 5 cafés and bars, 24/7 in-room dining and the SugarSand Beach Club. Each boast the locally infused and inspired creations of Executive Chef, Mads Wolff. Other facilities include the 24/7 fitness centre with TRX workouts, a martial arts area, yoga and the state-of-the-art Hotel Indigo Me Space, featuring a library and relaxation lounge with massage chairs. NOTE: SugarSand Beach Club is set to open Q2 2018. Contact our My Bali Holiday Experts for more information and opening day updates. Bask in the splendour of eclectic views over contemporary Seminyak and traditional Balinese villages from your Neighbourhood Room. Sprawled across 50sq. metres, this room flaunts a private balcony with a plush daybed, ample natural lighting and a spa-inspired en-suite bathroom for you to relish. 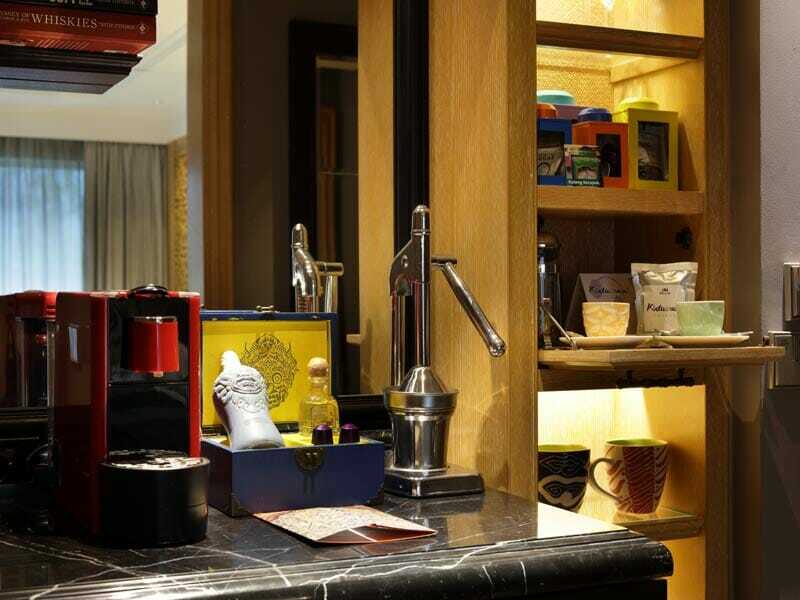 Enjoy conveniences such as minibar, flexible bedding configurations, espresso machine, flat-screen TV, Wi-Fi access and more from your fashionable Neighbourhood Room. Discover your personal oasis in a tranquil Oasis Room! Surrounded by stunning manicured tropical gardens and not far from one of the resort’s lively pool areas, these chic rooms offer the perfect holiday cocoon. Spread out amongst 50sq. metres of space, soak up the sun on your private balcony’s daybed or take your complimentary beach and pool kit (with bag, towels and sunscreen) to make a splash in the dazzling waters around the resort! Oasis Room features include King or Twin bedding, an original Punch & Munch personal bar, a spa-inspired bathroom, an espresso machine, manual juicer with oranges daily, 42” TV and so much more! Oasis Rooms can accommodate up to 3 guests. Embrace the playful Seminyak atmosphere in your stylish Patio Room! Located on the ground floor, these rooms offer direct access to the resort’s social courtyard and pool area, plus they are filled with natural light. The features of your Patio Room include a private balcony with daybed, King or Twin bedding, a spa-inspired bathroom, a complimentary beach and pool kit, espresso machine, original Punch & Munch bar, a manual juicer with oranges daily and more! Daily amenities are provided for little ones and gaming consoles are available on request. Patio Rooms span 50sq. metres and can accommodate up to 3 guests. Bask in contemporary luxury in your Perada Suite! 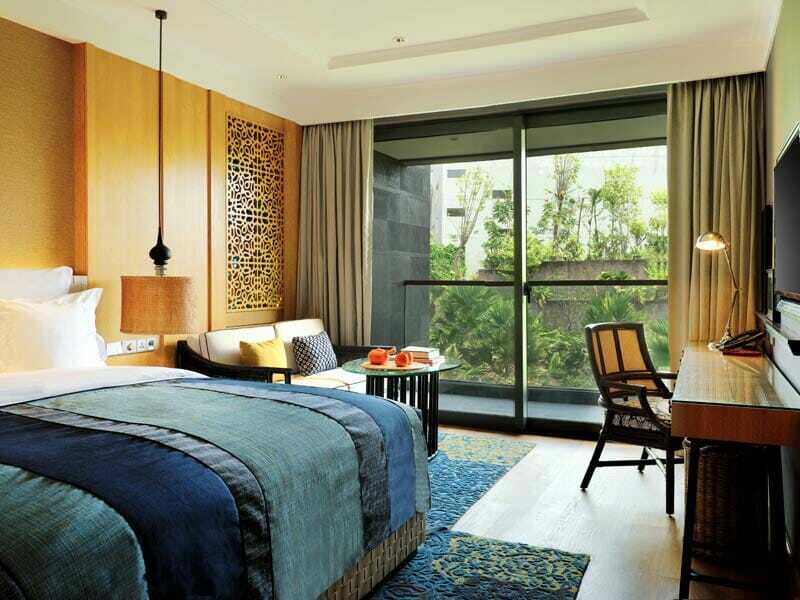 Boasting artful Balinese textiles, plush furnishings and 69sq. metres of space, these suites will have you in a constant state of comfort. With deluxe King bedding, a spa-inspired bathroom, private balcony with daybed, a Nespresso machine with milk warmer, manual juicer with complimentary daily oranges, an original Punch & Munch bar and complimentary beach and pool kit, your every need will be taken care of! Other features include a complimentary resort activity, 1 complimentary pay-per-view movie, a spa welcome pack, in-room check-in service with welcome drink and fruit platter and additional seasonal welcome amenities on arrival. With all this, you’ll definitely be able to completely relax! Perada Suites can accommodate up to 3 guests. 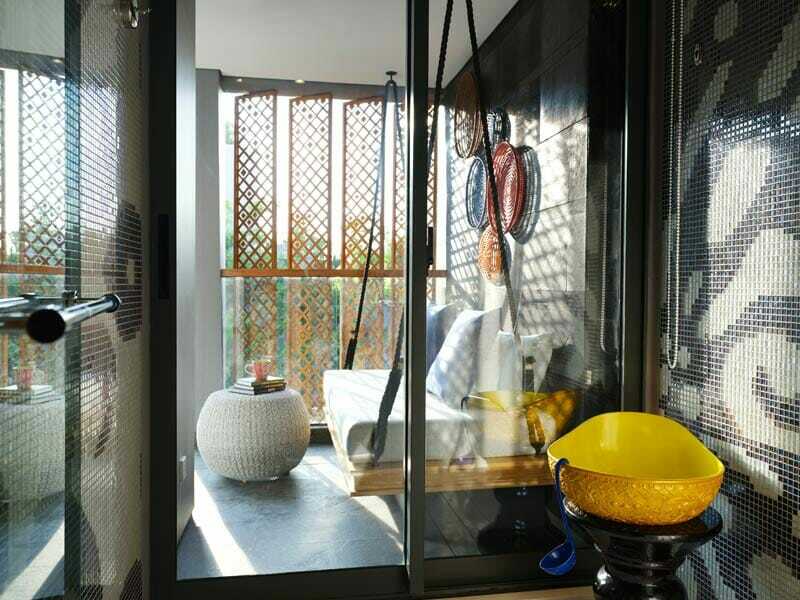 Take your Balinese holiday to the next level in Wangsa 1 Bedroom Pool Villa. Boasting an incredible 300sq. metres of space, deluxe King bedding, an oversized spa-bathroom, generous living room and dedicated dining pavilion, these villas will have you holidaying like the other half! Wangsa 1 Bedroom Pool Villas boast an extensive list of bonus features. These include in-room check-in and welcome amenities, private leisurely breakfasts served in the villa, a spa welcome pack, beach and pool kit, bespoke 24-hour Neighbourhood Patih services, daily replenishments of the Punch & Munch bar, complimentary resort activities and unlimited complimentary access to the pay-per-view movies! Enjoy an afternoon tea for 2 at Pottery Café, a bottle of sparkling wine, an hour Balinese massage for 2 at Sava Spa and so much more! If you’re after the ultimate couple’s retreat, this is the villa for you! 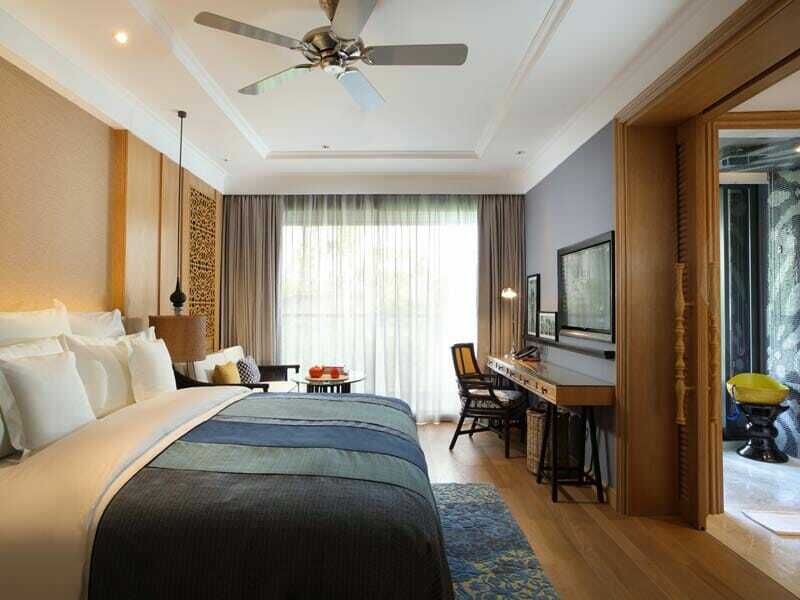 Note: Wangsa 1 Bedroom Pool Villas can accommodate up to 3 guests. 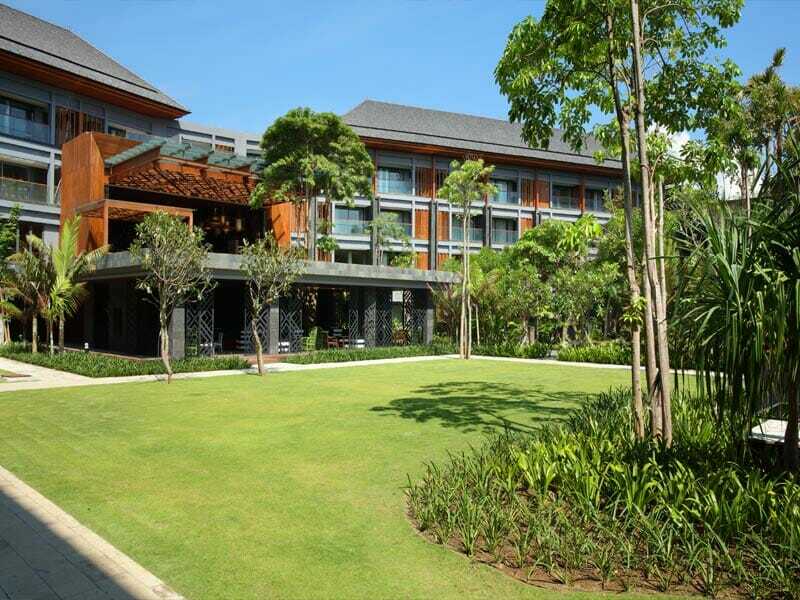 Hotel Indigo Bali Seminyak Beach is located just steps back from the beach in the heart of Bali’s Seminyak district. A 30-minute drive through the Kuta Beach hub will get you there from the airport and, once settled, there are countless things to see and do nearby! Travel less than 6-kilometres to enjoy a day of fun at iconic Waterbom Bali, wander less than 5-minutes to discover a range of shops and bars or simply wander along the sandy shore in front of the resort, gazing out to sea! While you’ll never run out of things to do at Hotel Indigo Bali Seminyak Beach, there are even more adventures waiting for you to discover outside the resort’s grounds! To start, take a moment to admire the unique and vibrant home-grown artwork around vibrant Seminyak. This colourful district acts as an urban oasis in many ways, with boutiques, cocktail bars and restaurants all reflecting chic, cosmopolitan tastes fused with traditional Balinese flare. If you want to get active, surf or wander along Mesari Beach (steps from the resort) or soak up the culture at nearby temples. Hotel Indigo Bali Seminyak Beach offers an incredible Neighbourhood Host service for those who want to explore and gain insider knowledge. Ask at the concierge desk to find out more! We love Lahaina and have decided the only place we’ll stay is the Hyatt Regency Resort and Spa. The rooms are good; but the property itself is remarkable! Large, diverse pool selections, top tier restaurants (Japengo! ), with lush vegetation, and penguins in a lobby habitat. It really is our go-to place! Our travel experts have done the research to handpick only the finest resorts in Bali based on quality, service, and location. If we wouldn’t stay there, you won’t find it at My Bali! Award-winning resort in the heart of beautiful Nusa Dua. The perfect choice for a luxury Bali holiday. Award-winning excellence in the heart of colourful Seminyak. It doesn’t get much better than this stunning, boutique resort! Boutique 5-star luxury with local artisanal charm. This resort is chic and modern, with a distinctly Indonesian flare. Sensational food, luxury facilities and fantastic sunsets. All this and more await you at this ultra-modern 5-star resort! Exclusive luxury is at the forefront when you stay at Nusa Dua’s 5-star Mulia Resort. 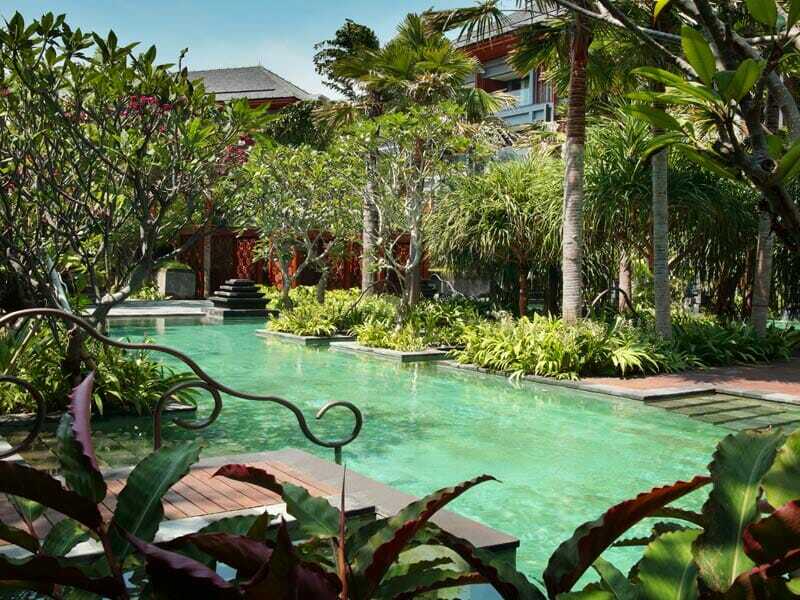 Stay in a luxury private Balinese villa with a private pool and access to 5-star hotel facilities. Set on the beachfront in Bali’s Nusa Dua, this stylish resort provides an enchanting escape. Relax, indulge and unwind! Escape to a secluded Ubud paradise at Plataran Ubud. Inspired Balinese design meets absolute luxury and private pool villas in Nusa Dua.